Formed in 2005, the HVBA initially came together as a small group of local business owners with the intention of maintaining the integrity and livability of our great community. 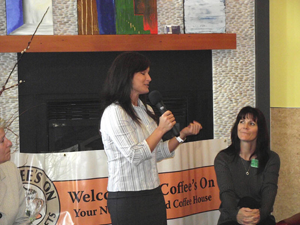 As this group connected, an alliance was formed so that each business would have a voice and could equally contribute to the economic development and success of the Happy Valley area. The HVBA was also formed so that business owners like you, seeking support and looking for answers about operating business here could have access to resources and find what they needed. 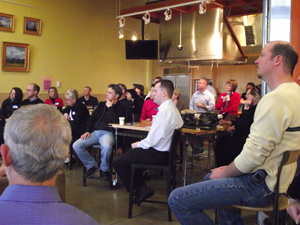 Since then, the alliance has steadily grown and continues to increase its number of members as more business owners find out about the benefits of HVBA membership, how they can give back to the community and how the alliance can help promote their businesses. Our goals have always been to create a productive and thriving business environment, foster connections between business owners and establish relationships with city representatives to meet the needs of your businesses. And we strive to set professional standards for businesses in the community to model. The HVBA regularly holds meetings that are open to everyone and for members of the alliance to weigh in on community issues. The alliance is run by a board of volunteer directors working and living in Happy Valley. Another way we support members is by promoting upcoming events. For more information, see our EVENTS CALENDAR page. 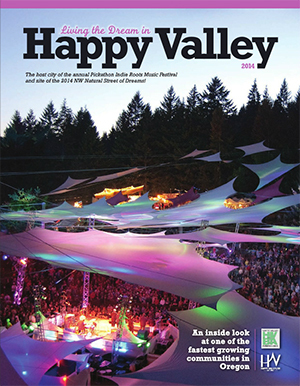 Check out our annual publication Living the Dream in Happy Valley!